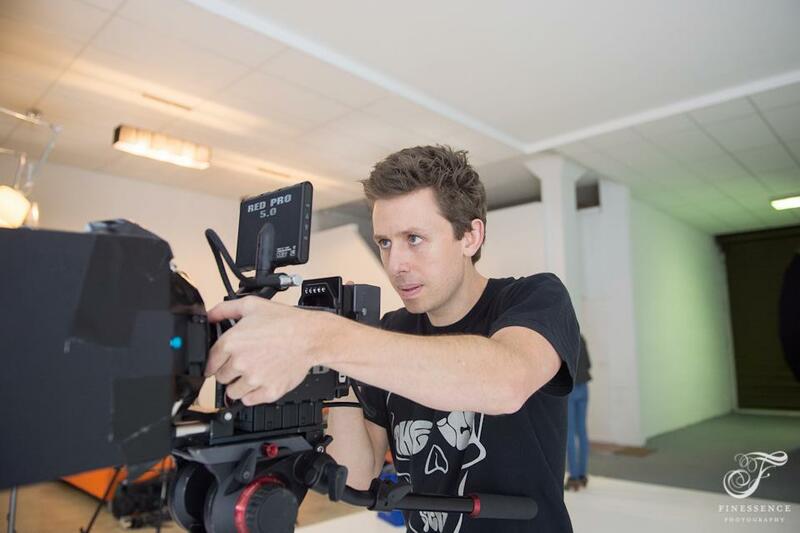 As you're making your way up the ranks to world class cinematographer (aim for the top I say!) chances are you've become used to doing things yourself. Taking on additional roles as the director, producer, editor, colorist and even sound recordist is not uncommon. Whether that's because you're a power freak (the old me) or it's simply a budget constraint, these are tasks we've had to juggle in order to get the job done, even though our main focus is to be behind the camera. My personal journey over the past 10 years has allowed me to gain many skills in both pre and post production, however, I'm really starting to see the value in team work and understanding the importance of skill set delegation. "Let's work as a team" is the cliche advice we all know, but lately what I'm loving more and more is the experience of a crew that clicks. I remember when I was younger I used to look at the credits of a Hollywood feature and shake my head at how many people were actually involved. Even up to a few years ago, I would revel in the egotistical confidence that I could direct, shoot, edit and colour my own productions! I think part of that mindset came from the idea that I knew I could trust myself....because trusting other people with your vision is scary right? And that's the point of this blog entry. I was recently asked to shoot some stylized video for a boutique bakery commercial in Melbourne. Sounds amazing right? Well, you would think so too if you got to see what had gone into pre production. The way Tatjana Green (creative director) described it over the phone was enough to make me feel fine about the fact that she was taking advantage of my 50% off RED shoot rates during July ;) And I hadn't even seen the brief yet! What came through to my inbox a few minutes later was a super well planned, cleverly thought out creative masterpiece just waiting to be captured. As I was reading through the shot list and looking at the treatment, something dawned upon me. She TRUSTS me to make these visuals happen, and that was a wonderful feeling. As I begin to shoot higher budget productions, I notice more and more how crew members are carefully selected, roles are clearly defined and responsibility is taken more seriously. No wonder it's tough to get into this industry...because not only is there a lot to prove with your show reel, but you've got to perform on set...and to top it off, every job you get is like an interview, or a review. So, have you got confidence in your own abilities, and what about the crew you're working with? When I speak at seminars or run workshops, I try to stress the importance of self confidence as a cinematographer. Are you confident that you can bring a directors vision to life? (within budget of course!). I'll often ask my class "what gives you confidence?" and the usual answers are, experience and knowledge. For me, this is true! The more I shoot, the more challenges I encounter and the more I learn about different lighting situations. The more I study about cameras, codecs, colour spaces and compression (c,c,c,c,c,c,come on! ), the better equipped I am to chose the right tools for the right job. Being confident as a cinematographer is a great place to start, and this is where the "I" in team comes into play. I honestly believe that every person has creative depths that are off the chart, but the one thing that holds that original and fresh creativity back is confidence. You may or may not have seen the promo I made for a recent seminar I spoke at (www.exposeddownunder.com.au) where I talk about the importance of technical knowledge and how that can empower your creative eye. Once we begin working in harmony with that part of our brain, we start shooting with a truly unique style. Awesome! The "I know what I'm doing" has begun....but now you have something else to look at. Your team. When I realized Tatjana trusted that I could bring her vision to the screen, it gave me a different kind of confidence. It came with pressure! But if you've read my blog before, you'll know that for me, I like to think that "Pressure makes diamonds" :) My point here is, that I've been trusted by a team member, a crew member, and as I studied the brief, I in turn trusted her! The TEAM was formed and as a result, we could both focus on our jobs as professionals. We were both subconsciously encouraging each other as creatives to get the job done as planned...and what a success it was. I'm writing home about the importance of team work because I've realized it's a massive prerequisite to forwarding your career as a cinematographer. Being multi skilled in this industry is a massive plus. A DoP who is also an editor and colorist has a serious arsenal of skills at his/her disposal when assessing a shot. A soundy who knows lenses is going to know about framing and where not to place his/her mic. An editor who knows directing is going to see better performances and choose shots that help the story, and the list goes on. When I walked onto set that day to start setting up, I had a new type of confidence. It was so nice NOT to have to come up with shot ideas like I normally would on less organized shoots. It was nice to KNOW what lights I needed, and where to place them before I even got to the studio. It was awesome to know how the shoot was going to be treated in post when I was setting up the picture profile in camera. So many things had been taken care of by someone else which left me in a position where I could REALLY focus on my job, and focus with sharp clarity. There's an "I" in team, and that "I" is you. But let's not forget how important the team really is. Don't be afraid to let someone else do their job because that's the beauty of this industry. We are all working together and have all been chosen for a reason. When I walk on set with a new crew, I trust that each and every one of them are just as passionate and willing to do their best as I am. That stuff is infectious. Try it! A big thanks to Dean and Rochelle from Preface Films and Tatjana Green from Brought To You By for the opportunity to shoot such cool and fun stuff. Also thanks to the amazing Karen from Finessence Photography for these great BTS shots :) GO TEAM!!! Posted on July 15, 2012 by Matthew Scott.